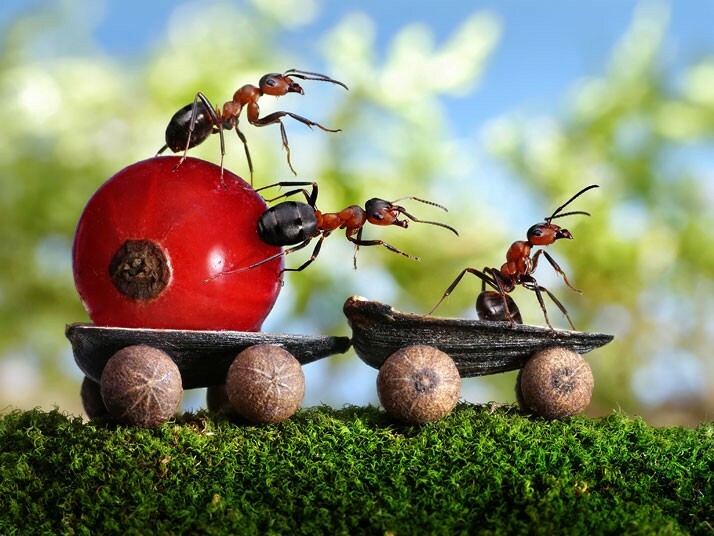 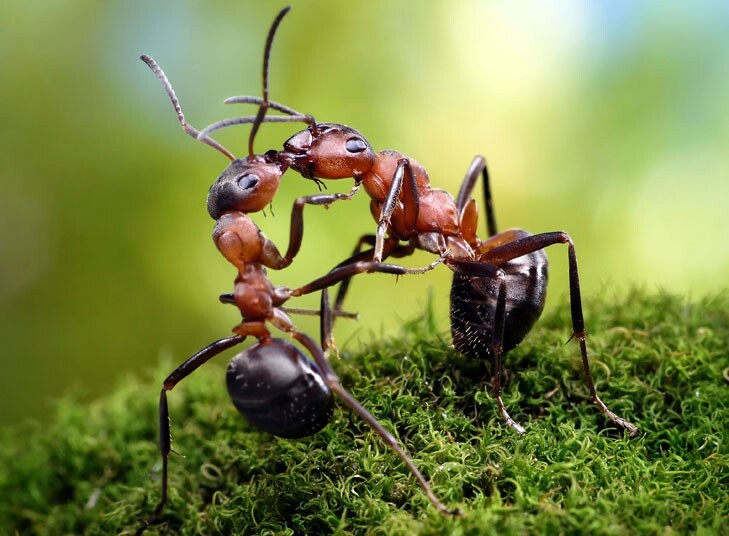 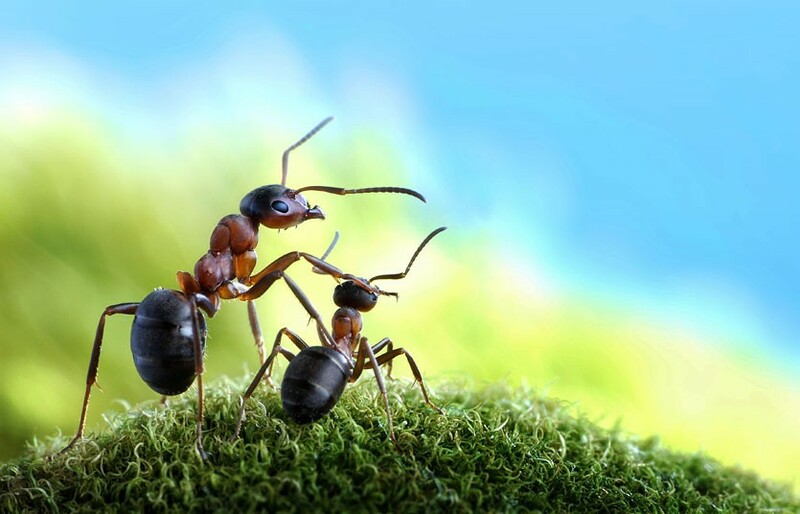 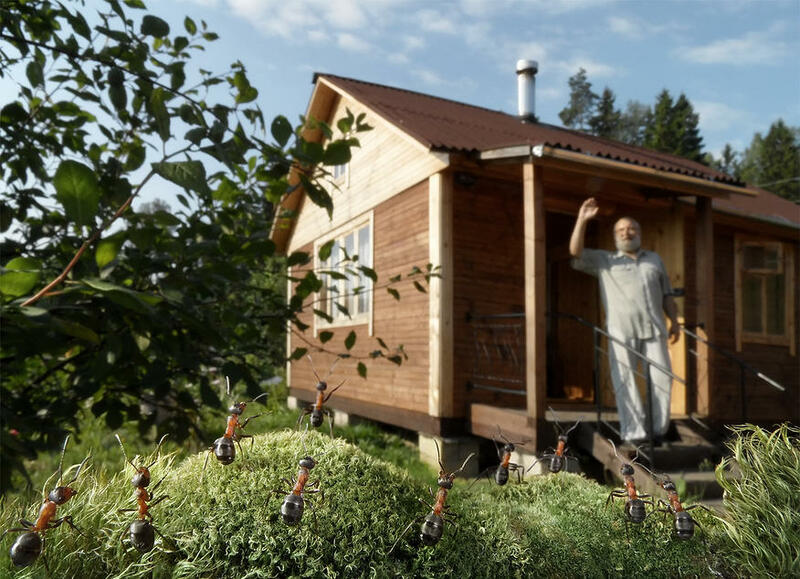 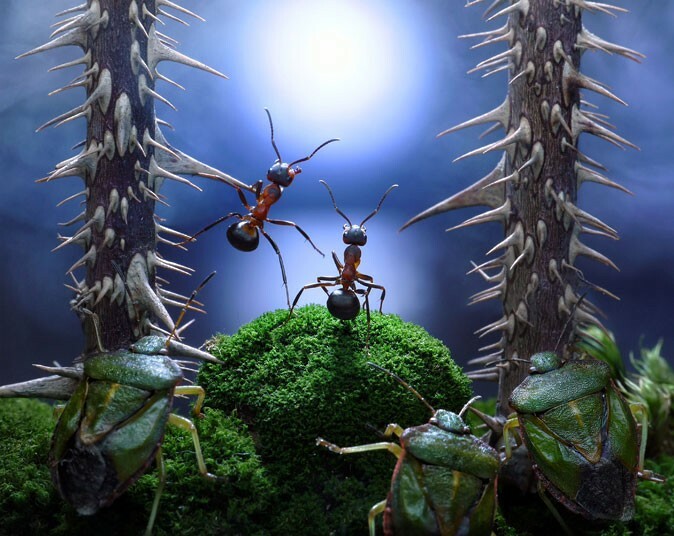 Yes, these are real ants and they are well trained. 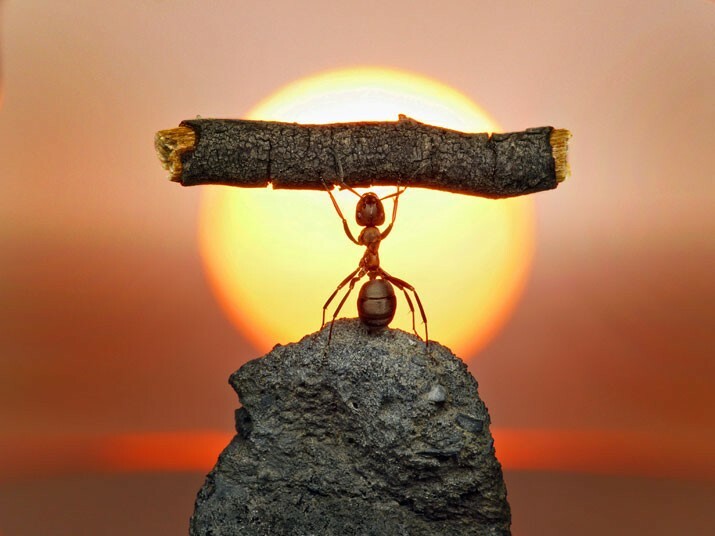 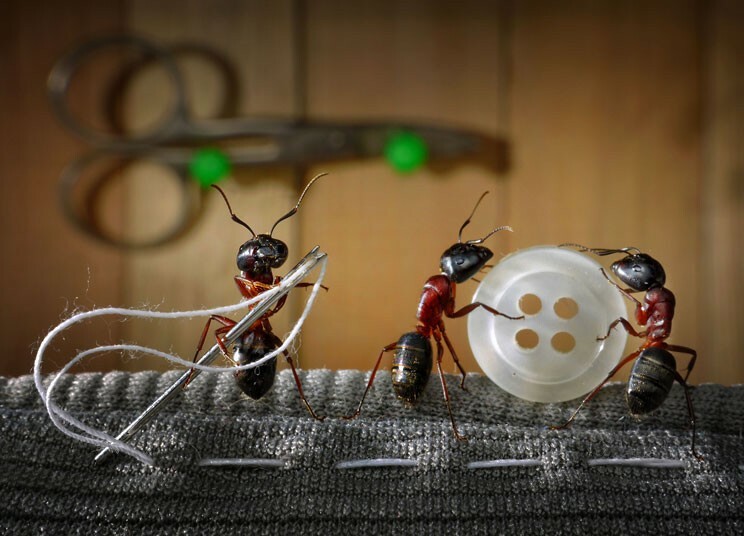 Russian photographer Andrey Pavlov spends hours setting up fairy tale scenes with them. 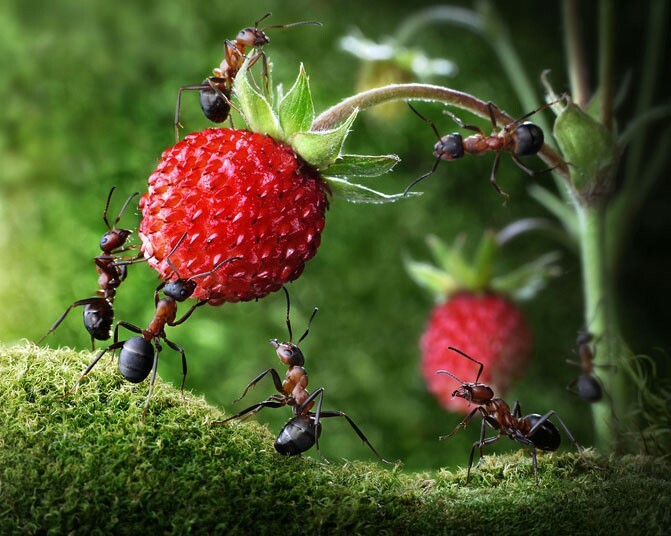 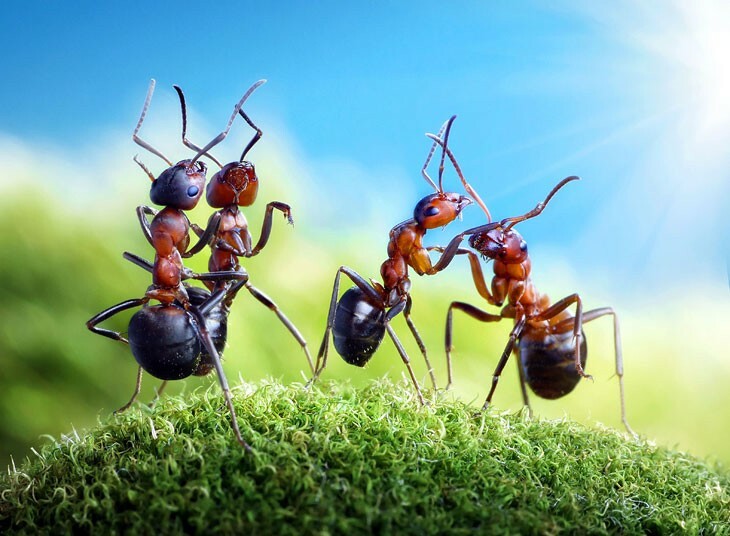 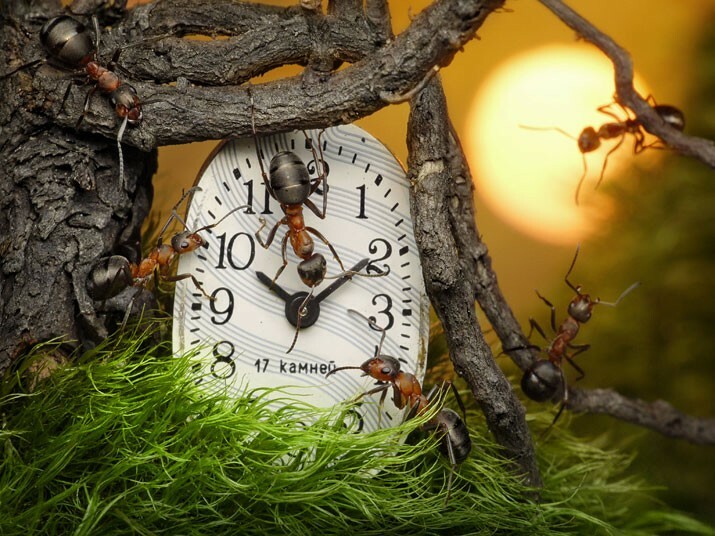 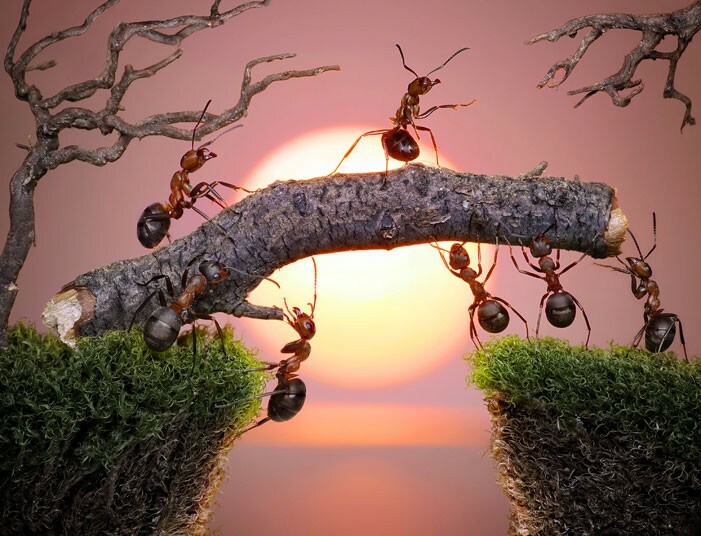 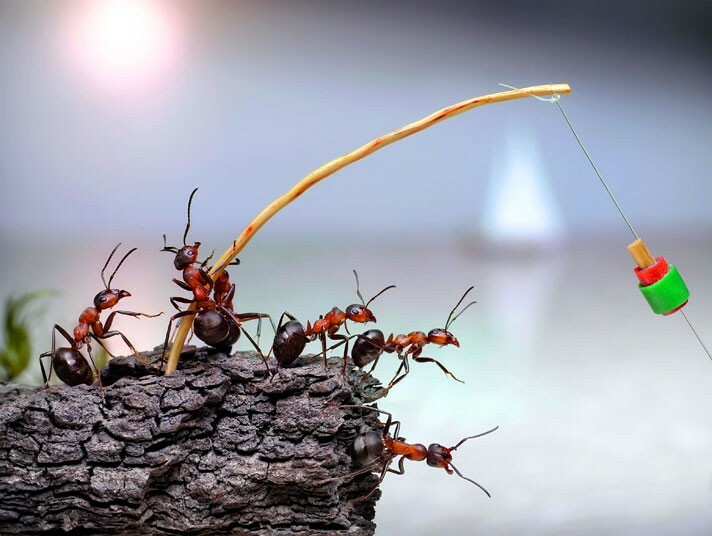 He studied ants, and saw that they all follow a very specific path when they’re working. 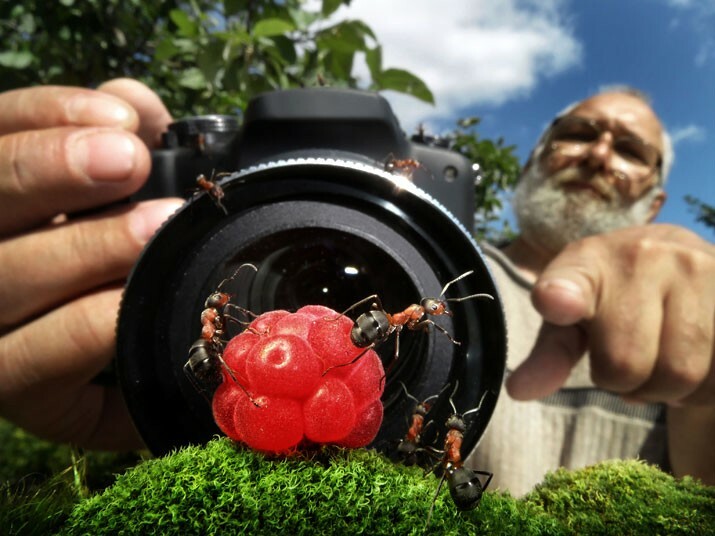 So he put his props on their trail, and photographed the insects interacting with his miniature ‘stage sets’.